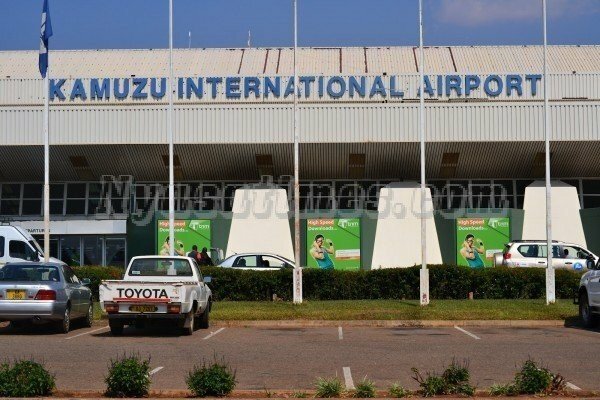 Government has embarked on a project to extend and rehabilitate the terminal building at Kamuzu International Airport, spokesperson for the Ministry of Transport and Public Works James Chakwera has said. The project which was officially launched by the State President, Prof. Arthur Peter Mutharika on 10 February 2017 is being funded through a grant from the Japanese Government and will cost K21, 900, 000,000. Chakwera said the actual work started on 1st April and is expected to finish in March 2019 since it is a two year project. He further said the terminal building is now old and small to cater for the needs of the travelling public and this creates a problem of congestion at the check concourse, departure lounge, arrival hall and the baggage claim area. “The project will alleviate these problems by availing more space in the terminal building for passenger facilitation,” he said, adding that, the new and rehabilitated structures will be modern and fit for use by the present day traveller. “Other than facilitating the processing of passengers, the extended terminal building will be able to accommodate new businesses thereby turning the airport into a commercial center. He further said that Government appreciates the financial assistance from the Government of Japan as the project fits in well with its development agenda, especially in the bid to develop the tourism sector whose main catalyst is air transport. where are the designs of the proposed new look airport for our appreciation! this story would have been written in February. Agree. And of course, the picture displaying a plan of the new airport would have made us appreciate. Otherwise, I think it will be another kraal-like structure not befitting a modern airport, such as what happened at Chileka renovations. Sorry malawi, am not inspired. Next time you go to Kamuzu, check – there is a drawing of what it will look like.